I have written and rewritten this post a few times now. One would think that it shouldn’t be so hard. So many people out there in the blogosphere already share so many intimate details of their life. Me, not as much. At least not here. If you know me in real life, you probably wouldn’t say that though. I’m pretty open – a sharer. Yes, I can talk too much sometimes. And so yes, this post is long and wordy. Skip it if you’re not interested. The past year has been a bit of a struggle for me. And indeed, as of last week, it has officially been an entire year since we got the news. And then I realized that January is Thyroid Awareness Month. So, I figured it was time to put this out there and talk about it. Last January, I was diagnosed with Graves’ Disease. Another autoimmune disease, in addition to the celiac disease. I’ve had a hard time accepting it. And I’ve spent a good part of this past year trying to figure out what it means. In the early years after my celiac diagnosis, we always heard, and as a support group leader, I often repeated, that we must take our gluten free diet seriously, lest we end up with another autoimmune disease due to continual agitation of our immune systems by digesting gluten. “If in doubt, go without.” Right? So imagine my surprise when after fifteen years of being on the gluten free diet, and feeling like my celiac disease and gluten free diet was under control, I am told I have another autoimmune disease. Needless to say, I took it pretty hard. But at the same time it was nice to know what was wrong with me. That I wasn’t crazy and overly anxious. That I didn’t have a progressive neurological disease. That gluten wasn’t sneaking into my diet. You see, I went in to see my primary care doctor in October of 2010 with severe hand tremors and digestive issues, mainly gas and bloating. I also went to the dermatologist with severely dry, itchy skin and a horrible rash on my shins, that same month. I had also been trying for months to figure out what was sneaking into my diet. Every day after about 3pm, my digestive system was in an uproar. Like clockwork. I put myself through a modified diet, eliminating things that I thought could be bothering my tummy and causing the late-day gassiness. When I told my primary care doctor, she said that I should just take some Gas-X, that happens when you eat a lot of vegetables. Uh, sure. And when I showed her my hand tremors, within five minutes she diagnosed me with Essential Tremor (ET), a progressive neurological disease that is usually familial in nature. My primary care doctor prescribed some low-dose propranolol, a beta blocker, to help calm the tremors. Desperately wanting some relief, I started taking the medication. The medication helped, but it also caused my calves to swell up and I had a scary instance of blurred vision, which I had never experienced before. When I called to tell her, the doctor said that the propranolol shouldn’t have those side effects and told me to take a break from it for a week and try again, since it was helping my tremors. But the swelling in my legs still wouldn’t go down despite going off the medication, but yet I didn’t know what else to do. Now, I’ll admit, the ET diagnosis felt like it fit, at first. But at my follow-up appointment with her a month later, I again mentioned my tummy troubles and again she told me again to just take some Gas-X. I reminded her of my celiac disease and that I felt like I was pretty strict on my gluten free diet. And then she asked me if I had ever *really* been tested for celiac! Now, I’d only seen her maybe three or four times in three years or so, so it wasn’t like she has been seeing me for a long time, but… We had talked about celiac at all of my previous visits and how long I had been dealing with it and such. Every year I would bring in info from the University of Chicago Celiac Disease Center for her to read and to make sure I got the proper follow-up testing. (Apparently that hadn’t made an impression.) Well, to say the least, I got a little upset with her. I told her exactly when I was diagnosed, that it was with a very conclusive biopsy, and that I would be happy to bring in the paperwork to prove it to her. At that point she told me that the only thing she knew to do was to send me to a gastroenterologist. I also requested to see a neurologist at this point since the propranolol wasn’t working for me and the tremors were affecting my daily life and ability to do my job. She agreed and suggested I see one within their practice. Unfortunately this neuro was on maternity leave until January 1, 2011. When we returned from the Christmas holiday, I got in to see the neurologist and she did a thorough exam. She was aware of the possibility of neurological issues related to celiac disease and tested me for those (ataxia, peripheral neuropathy). She wouldn’t say as much, but I got the feeling at the appointment that she wasn’t convinced that it was ET. So she sent me away with a lap test slip for liver function, blood glucose and thyroid function. A week or so later I was able to take time off work to go in for the multiple hours of testing, both the gastro-ordered tests and the neuro-ordered tests. Two days later, we had a preliminary answer. Super low thyroid stimulating hormone (TSH), undetectable at less than .007. Thank you to the neurologist for ordering the thyroid test! And I loved it when my primary care doctor called to say that “we should really thank Dr. Neurologist for figuring it out”, I wanted to scream, “Yes, Dr Primary Care, YOU should thank her, since she figured it out.” Rawr! So, you’re probably wondering, what the heck is Graves’ disease already? Graves’ disease, also known as toxic diffuse goiter, is the most common cause of hyperthyroidism – a disorder that occurs when the thyroid gland makes more thyroid hormone than the body needs. And so now you’re probably asking – what are the symptoms? As they say, hindsight is 20/20 and I had many of the symptoms, but many of them I had written off as something else. Difficulty sleeping (insomnia) – yes, I had been waking up multiple times in the night, unable to go back to sleep for a while. Totally unlike me. Frequent bowel movement – perhaps diarrhea – yes, and the gassiness every day after about 3pm. Heart palpitations – yes, a couple of instances of it, but at the time I didn’t recognize it for what it was. Heat intolerance – yes, I had been joking that my internal thermostat was broken when I exerted myself, or even just blow-drying my hair in the warm bathroom in the mornings. Irritability – ha! never! (kidding…) But now that I am not so irritable, I can tell that I was. Ask my husband! Mental disturbances – uh, what kind? Muscle weakness – yes, it had gotten to the point where I was having difficulty making it up an entire flight of stairs. My legs were extremely wobbly. Problems with fertility – not an issue as far as we know. Shortness of breath – yes, but I was blaming it on our elevation, even after living three years at high altitude. Tremor/shakiness – yes, and they had gotten really bad, to the point where I dropped some things and I was getting nervous when using sharp knives while chopping vegetables. Weight loss – but perhaps weight gain – in hindsight, I didn’t start dropping weight until right before my diagnosis, about 6 pounds in two months, despite that I can now recognize that I was eating a LOT of food during this time and I wasn’t gaining weight like I typically would have. Thinning of hair – not that I could tell. Itching and hives – the air here in the SW is very dry, but I had gotten excessively itchy and dry on parts of my body that weren’t usually dry. As well, I was excessively itchy in a line from my thyroid, down to my belly button. A bit odd. Possible increase in blood sugar – maybe. Prominent “stare” of the eyes – no. Protrusion of the eyes, with or without double vision – luckily, no. Accelerated loss of calcium from bones, which increases the risk of osteoporosis and fractures – not as far as we knew at the time of diagnosis. So, at the end of January a year ago, I began treatment for the disease. I will follow-up with a second post about treatment and coping in the next week or so. For now, I want you all to “Check Your Neck!” in honor of Thyroid Awareness Month. (I did have a slightly enlarged thyroid gland that was visible after it was pointed out to me.) And if you have celiac disease, or another autoimmune disease, be sure to get your TSH tested at least once a year. Just because we have celiac disease, we are all at a higher risk for another autoimmune disease. Be your own advocate for your health. Continue to *politely* educate your doctors, even if they don’t appear to be listening. And always get copies of your lab results! Looking back, my TSH test from a year previous was .002 away from being too low, out of the normal range. So the disease process had already begun, way back in January 2010. I apologize for the length of this post…but I had to get it all out there. Thanks to those of you who are still reading, for sticking with me. We’ll get back to recipes soon. Good luck! this is a chance unlike any other! I’m so glad you were able to find out what you have. There’s nothing worse than knowing something is wrong and dealing with doctors who are the experts but can’t figure it out. So I’m so glad you found a doctor that could so that now you know. I always goof up the difference the names for low and high thyroid, but remember when I had mine tested in my late teens, I was told I had levels where I should be super thin (too bad I couldn’t get that side effect lol). But I have to normalize my levels with meds now and have it tested yearly. I hope you can feel much better fast! Thanks, Lisa. I know you’ve been through some frustrating health issues too. Glad to hear that you’ve been able to get your thyroid levels stabilized. It is interesting that they said you were hyPERthyroid (fast=hyper) when you were younger and now it sounds like you have hyPOthyroid if you are on thyroid hormones. It is possible, from what I’ve heard, to have both HAshimoto’s (hyPO) and Graves’ (hyPER), but I don’t know much about it. Both are autoimmune diseases and thus related to the celiac. Something to look into if you continue to have issues these days. Thanks for stopping by! Oh wow Renee, I’m so proud of you for sharing your story! A bit cathartic wouldn’t you say? It’s been 8 years since I went through all of this and boy has it brought back some memories! I started exhibiting the symptoms of Graves’ disease right after Sam was born (and just like with celiac, I did not have the GI symptoms, grrr). Had it not been for a sore on my leg that wouldn’t heal, I don’t think I would have sought medical assistance for the other symptoms I was experiencing (insomnia, fatigue, heart racing – not really palpitations – heat intolerance, increased sweating, irritability and weight loss). Most of the symptoms I wrote off to being a new mother (not sleeping much) and I’ve had always been “hot blooded” (keeping my thermostat around 62 even in the winter). I lost all of my baby weight – 50 lbs. worth – in less than 2 months (only to gain it all back and then some after my thyroid was ablated and before we discovered that sneaky celiac of mine). Thanks for your support, lady! Especially since you were the one to get me into this crazy GF blogging world! It has been a bit cathartic, but at the same time, it brings up a lot of emotions. I’ve had to step back a little this week and let my emotions calm down after writing this. It was kind of crazy to look back at all of the symptoms and see how many I had but had just written off as something else. And the Essential Tremor diagnosis felt “right” initially. Like you say though, I “kept asking the next question” and luckily got into see the neurologist who turned my world upside down. Thank you so very much, Renee, for sharing this part of your personal story! It will help so many. I’m so sorry that you had to experience it, but am grateful that you have a diagnosis and are moving forward now. Please do not ever apologize for a post that you think is too long when it comes to such a serious matter. There’s no such thing. There will be readers hanging on every word in your post because they are experiencing the very same symptoms. I just shared your post on my gfe Facebook page. I have absolutely no doubt that your story will help someone today. Bravo, hugs, and healing to you, my dear! Thanks for your support, Shirley! Many ((hugs)) back at you, too. yes I had Graves disease and then they killed my thyroid with radiation. After that I gained a lot of weight. And whatever you do do not let the dr. giove you a beta blocker and synthroid at the same time! Remember not to eat tofu or cabbages unless the cabbage is cooked. Yes, they forget to tell you when you are active with the Graves’ disease that you are probably eating too many calories for your “normal” self when they slow your thyroid down. My next post will be about treatment and the options and pitfalls that the doctors forget to tell/talk to us about. Hope you’ve been able to get that weight off. I am still working on mine. Since you don’t have a thyroid any longer, since it was ablated, I am not sure why you need to worry about the goitrogenic foods? on January 25, 2012 at 7:32 am | Reply SherriS. I’m glad you posted this and I didn’t think you were too wordy at all. My sister also has Graves but tested negative for celiac (I’m wheat allergic). She’s currently in remission. I hope you are too. Thanks for stopping by. As you may well know, all of these autoimmune disease tend to run in families, so it sounds like your family needs to always be on the look-out too. And not just for celiac or Graves’, but all of the other AI diseases too, unfortunately. Glad your sister is well. I am doing well, considering. My next post will be about the treatments, healing and coping. As you learned in your healing journey, we can’t always depend on our primary care givers to figure out all the conditions linked to celiac. So many of us get the first clue by reading posts like yours that spell out the symptoms in personal ways that resonate with our own. Thanks so much for being long-winded and over-sharing. It could really change a life. Thanks for the words of encouragement, Wendy! And yes, unfortunately, we can’t always depend on our doctors to know everything. If they haven’t read about it or experienced it somehow, they won’t ever think to explore the option. But I am hopeful that my (now, former) primary care doc will remember this experience with me and not be so quick to diagnose without considering all of the options and taking a second look at their chart for clues. I have both as well, many years now…wish you well!! I’m so glad I read this. My hubby has a lot of those symptoms, most significant is essential tremors. I don’t remember if his thyroids were ever checked. I will let him read this. Hi Faith – I am glad to hear that this post may already be helping someone. I want to make clear though that the ET diagnosis was wrong. The tremors were caused by the hyperthyroidism and have since disappeared now that my thyroid is being treated. Please make sure your husband’s thyroid has been checked recently. After I started reading about ET, and joined the local support group, I discovered that I was the only one in the group that did not have a family history of ET. I think that was my first clue that maybe something wasn’t quite right about the ET diagnosis. Take care! Diagnosed with Graves in Feb 2010 just before getting pregnant, perfect labs thru pregnancy (naturally) as well as post-partum (diagnosed with RA 5 weeks post-partum) until fall 2010…just “rediagnosed” with sub clinical hyperthyroidism. starting treatment soon. went GF in culinary school bc of unexplained joint pain then went off of it and went GF again last year for RA symptoms and wasn’t super strict. Getting way more strict now with this combo of issues. Looking foward to reading this article and following the blog! Sounds like you’ve had a rough road too. Sorry for all your troubles. Hopefully your body is healing now. Take care of yourself and hope to see you “around”. Hi Renee! Thank you for sharing our Thyroid Awareness information with your followers! We are glad you found it useful! If you need any additional Thyroid Awareness Month materials such as the blue paisley lapel pin or car magnet, please let us know! Absolutely powerful story! Not only is it a great reminder that those with Celiac are still able to develop other autoimmune disorders, but it shows that thyroid disorders are still under diagnosed like Celiac and gluten sensitivity. So glad you kept pressing for answers. I hope more people will read this and realize how necessary it is for each of us to keep advocating for ourselves! Thanks for stopping by. Yes, we all need to be our own advocate, that’s for sure, since most of know more about our own bodies than our doctors ever will. I wish I would have known sooner to mention all of the little things that were going on with my body (or the PC doctor would have dug a little deeper), because they were actually pieces of the big puzzle. But they all seemed too insignificant to mention and also because I wasn’t really thinking of them as symptoms, per se. Luckily no (apparent) permanent damage was done from being hyperthyroid so long, and misdiagnosed for three months, and I’ve been able to move on to healing now. Thanks for sharing this. I saw the link on Shirley’s page and had to read. I have hypothyroidism (for about 20 years now) and can definitely relate to your story on so many levels. Getting the right diagnosis can be difficult. At the time with my thyroid, everything went out of whack for me (including gaining about 50 pounds in a few months) and I was still seeing a pediatrician who told my parents to give me a Tylenol. Eventually I became so sick I wound up in the hospital where several doctors, including an endocrinologist, could diagnose me properly. It’s frustrating not having an answer to what’s wrong, and I’m so glad you were finally able to get everything figured out. Hope everything is on the up and up! Wow, that’s quite a story. Fifty pounds in a couple of months and yet it took you landing in the hospital for them to figure it out? Ugh, it can be so very frustrating at times. Thanks for adding your story too. It all helps! Cuz we’re all in this together. This is terrific. Thank you!! I’m also hypothyroid (4 years) & gluten intolerant (2 1/2 years). My uncle has Hashimoto’s. I’ll be sharing the link to this particular post from my blog. Thanks for the link love over on your blog and for spreading more awareness. Nice to “meet” you; I will have to stop over and check you out! Wow, thanks for sharing. So glad to hear you have answers and are doing better. My PCP just did a thyroid test on me today, so we’ll see how that goes. Also said I had dyspepsia (fancy name for indigestion). Hmm…not sure what to make of that one. On a somewhat unrelated note, a different doctor previously recommended that I eat more meat (I’m mostly vegan except for fish now and then.) Do you find you have enough energy on a gluten-free, vegetarian diet? I’ve added in eggs, more fish, and limited dairy, but the thought of chicken and red meat makes me nauseous. Recently though, I had to give up all grains, so I’m getting close to desperate enough to try. Nice to meet you. I hope your thyroid panel comes back a-okay. As for the gluten free vegetarian diet, I do find that I have enough energy, although I am not a total vegetarian (check out my About page for the full story). I’ve had consistent problems with my B-12 levels though, which can make you tired, among other things, and despite getting shots and taking vitamins, we never could move my number above 220. And so this year I really worked to eat more meat (at lunch so I could still make veggie meals for dinner with hubby), since I can’t do eggs, and I was finally able to move my B-12 levels above 250. I am going to write an upcoming post about it. But in the meantime, make sure you get your B-12 checked annually if you’re a long time vegetarian. My hubby does fine on the vegetarian diet (he does eat some wheat), but he does eat an egg almost every day, and his B-12 levels are great. We’re all so different and have to each find what works for us. Good luck to you. You wouldn’t happen to have mercury fillings or any metal in your mouth, at all, would you? My symptoms are 90% dissipated and .. that’s it..
I’m also starting detoxing therapy (andy cutler chelation protocol) to get the mercury (used to also have metal fillings) and titanium bromide out of my body. I just wanted to throw it out and I wish you the very best. Just a stay at home mom – with two autistic kids who are healing only b/c of above mentioned protocols – homeopathy and going to start AC chelation. Not selling a darn thing. Also check out my Reveal and Heal page on FB. Hi Morgan – Thanks for the information and stopping by. I have [not so] Graves as well and was diagnosed a few weeks before you, so I completely relate to where you are and how you feel! It took awhile to regulate but I’m finally on a regular does of 7.5 mg of methimazole and for the last 5 months have focused on regaining my muscle (at the point of diagnosis I had lost so much muscle that my skin was hanging off my legs like an 80-year old body). I’ve also discovered in recent weeks that I have very low blood sugar and blood pressure, not sure if there is a connection with Graves or it’s simply genetic (my mother is hypoglycemic), but I decided to start eating a high protein diet and eating five to six small meal a day. My energy has returned tenfold, I’m drinking less coffee and am no longer craving sweets! I have not given up meat but I have greatly reduced it and focused more on other foods high in protein. I really enjoying tofu, but am wondering if that’s something I should avoid. It’s so hard to find other people with hypERthyroidism, so gathering info on what we should eat is a challenge. I keep reading that soy is bad for thyroid problems, can you tell me your thoughts on eating tofu? Maybe you’ve covered this in your blog and I missed it, if so just redirect me there! Thanks so much! Thank you for your most informative and helpful blog. I have a 2nd Opinion with a Neurologist due in Mid July (I know…wait, wait, wait for “new” patient appointments. Neither my Primary Care Doctor nor I was impressed at all with the first Neurologist appt since no testing was ordered and just waving a pencil back/forth for my eyes to follow, touching my nose, and walking down the hallway and back for him was his extent of coming up with his diagnosis of “Mild” tremors. Once I got that report I wanted so bad to go shove it in his face and say oh yeah? You wanna talk “Mild”?….and something I’d just “have to get used to?” If I was taken off the mild valium dosage I’ve been on since Oct 2012, you’d see just how wrong you are. That so-called “mild” turns into internal shaking like I’m freezing but not even cold. VERY disturbing! Primary doctor thinks I have ET because my older brother I’m told has that. But, I question that too. Wondering, has he ever been checked for Celiac Disease or Graves? I don’t know the answers to those questions. He is in Calif, I’m in Okla, both in our 70s and neither one travel. He, my twin brother, and myself have various degrees of hearing imparments (mine being the worst….and I have a Cochlear Implant. Still, phone calls are a bit difficult since for some unknown to me reason, men have trouble speaking loud enough or something on the phone which drives me nuts! So, I have many unanswered questions concerning his diagnosis. No idea who his doctors are. Well, in other words, some of us are not familiar enough with our family health (genes)….so, when you mention something, your doctor latches onto it like a tick. This I think may be a mistake my Primary care physician is making at present – but, I guess time and future testing (hopefully ordered by the Neurologist in July) will order. Still, all in all I do have my Primary Care Physician to thank for asking that my Digestive Disease Specialist to perform upper endiscope/lab on small intestine and discovering the CD. They had never done the bioposy in this area because their concentration was on my colon problems. Odd isn’t it how even Specialists don’t think to look at the overall system. What a puzzle to me that is. There may be sound reasoning – if so, it was not explained to me. Evon – Ask your Primary Care Doc to do a thyroid test on you, they should be able to send you to a lab without a visit. 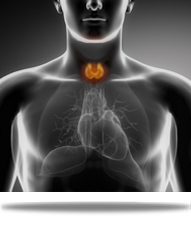 It is dangerous to be hyperthyroid, there is a risk of thyroid storm and damage to your heart. You should be on a beta-blocker if you are hyperthyroid for some protection. Ask for TSH, T3, T4 tests and get them this info:http://www.endocrine.niddk.nih.gov/pubs/graves/ so that they can see that tremors are indeed a symptom. You don’t need a neuro to do a thyroid test on you, your PC doc should be able to take care of it. Don’t wait till July! Good luck! Let me know how things go. I’m gluten free but my tsi lab results are undetectable. My tsh is very low at .18. Doc was thinking I would have antibodies. Maybe I don’t have detectblt antibodies because of my gf diet. I don’t have celiac disease antibodies.